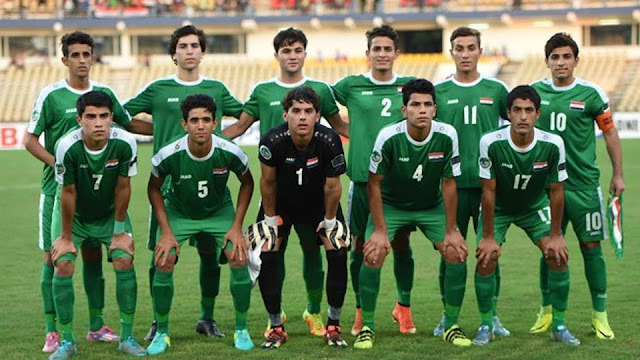 Iraq will face Mexico in their first Group F match at the FIFA U-17 World Cup. After the 2007 Asian Cup victory that united a country torn by sectarian strife, a slogan went up in Iraq: Football brings the message of peace. Iraq coach Qahtan Chitheer referred to that here on Saturday before their opening game in Group F against Mexico. Preparation for this competition though hasn’t been to his satisfaction but skipper Saif Khalid said, like that team of a decade ago, they would try and do something worthwhile in India. “They are role models,” said Khalid. Chitheer had wanted to prepare for this competition with a camp in Spain but that fell through. He also wanted to play some top teams in Europe and those who had qualified for the under-17 World Cup but that didn’t materialise either. “There were some issues because of the financial situation in the country, so our preparation was not good. We trained at home and played against some neighbouring countries,” said Chitheer. Elaborating on the comment, the Iraq team’s manager said after the media conference that the country is facing a difficult economic situation. So Iraq had to prepare by playing teams from local clubs and against national teams of Jordan, Saudi Arabia, Bahrain and Syria. Not quite the right way to get ready for games in what Chitheer described as an ‘iron group’ but he said this team has the hope and ambition to go far in the World Cup. “We hope we will do our own bit like the 2007 generation,” he said.